1959: Completed by Richards Ironworks Ltd (Yard Number 447) for Boston Deep Sea Fisheries Ltd, as BOSTON CORSAIR. Registered at Lowestoft (LT148). 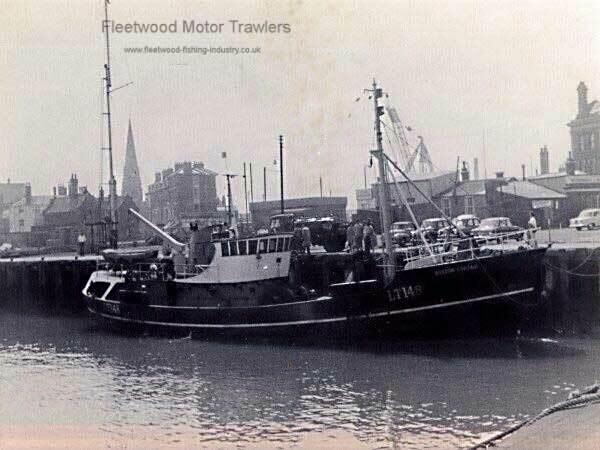 1986: Sold to Spanish owners and reverted to commercial fishing. 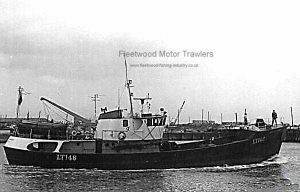 She was sold in an en bloc deal to Parafleet Ltd, Plymouth (Cmaine (Shipping) Ltd, Stonehouse, Plymouth, managers) (Joseph O’Connor, J.L.J. Couceiro & Others) along with the following vessels. November 1986: They left Lowestoft for Plymouth for La Corunna. 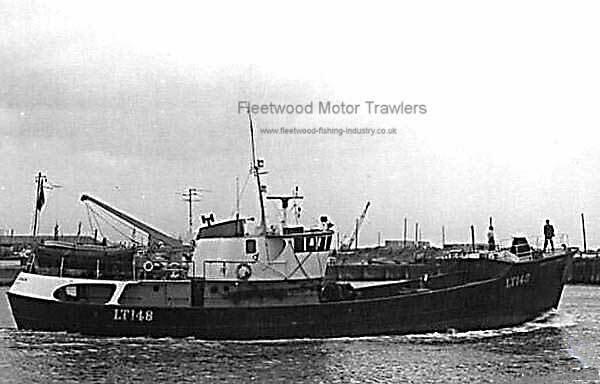 The vessels were refitted in Spain and reverted to their original UK PRNs ie LT364, LT183, LT148, LT173 & LT453 respectively. 1994: Reported to have sunk in port. 23/10/2016: Page re-published due to site problems. This entry was posted in Boston Deep Sea Fisheries, Motor Trawler on 23rd October 2016 by Howard Small.